Of the winning legislators, 23 had declared assets over Rs 5 crore while five had assets below Rs 5 lakh. New Delhi: Meghalaya has 66 per cent 'crorepati' MLAs, or 39 out of 59 elected MLAs in the state legislative assembly-2018 having individual wealth of over Rs 1 crore, a report said on Sunday. During previous elections in 2013, 60 per cent MLAs had wealth over Rs 1 crore. According to a report by the Meghalaya Election Watch (MEW) and the Association for Democratic Reforms (ADR), seven MLAs did not declare their sources of income. Only one MLA, Bendic R Marak from the state's second largest National People's Party (NPP), has declared criminal cases registered against him, which include one for criminal trespass, one for voluntarily causing hurt and the third one for acts done by several persons in furtherance of common intention. 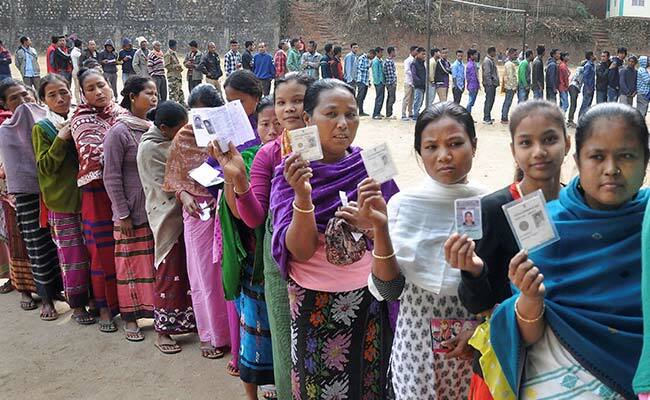 The Meghalaya elections were held on February 27 for 59 out of 60 seats. According to the Meghalaya Election Watch and the Association for Democratic Reforms, the Congress that emerged as the largest party with 21 seats has 15 or highest number of rich MLAs. Other parties whose MLAs declared assets worth over one crore rupees include the NPP - 12 out of 19, United Democratic Party (UDP) - four out of six, both of the Bharatiya Janata Party (BJP), two of four of People's Democratic Front (PDF), one of the two MLAs of Hill State People's Democratic Party (HSPDP), the lone MLA of the Nationalist Congress Party (NCP) and two of the three Independent MLAs. According to the report, the average of assets per MLA contesting the Meghalaya Assembly Elections 2018 is Rs 7.18 crore. In 2013, the average assets of MLAs worked out to Rs 7.77 crore. The top three richest MLAs are Metbah Lyngdoh from UDP with assets over Rs 87 crore, Dasakhiatbha Lamare from NPP with assets over Rs 40 crore and Renikton Lyngdoh Tongkhar from HSPDP with assets worth over Rs 29 crore. NPP MLA Pongseng Marak declared the lowest assets of Rs 2.99 lakh.